Blast from the past – In 1976 no one in Sweden had heard of AC/DC. Still, the band showed up in the country on a tour that has become legendary. From the media there was only one man who cared about the future superstars: Hans Hatwig of the now classic poster magazine Poster. Here he tells us all about his mythical day with Angus in Stockholm dotted with shenanigans in plenty. It was love at first feel – We asked author Anders Hedman to pick a part from the book about the Swedish tour of ’76, ”AC/DC Love At First Feel”. The first tour outside the British Commonwealth took the band to some unusual locations. One of the more unusual was a big racetrack just outside small rural town Anderstorp in the south of Sweden, where the band peformed some very heavy decibels before a very puzzled audience. 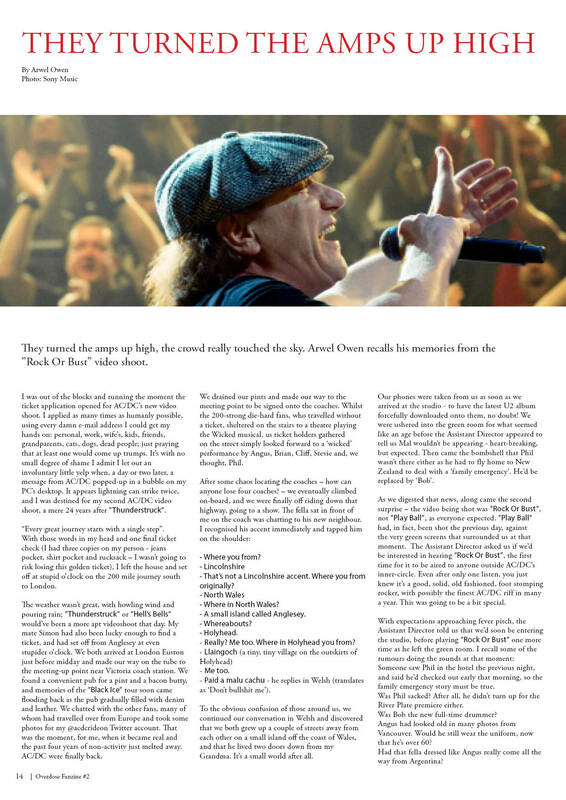 They turned the amps up high – Arwel Owen recalls his memories from the ”Rock Or Bust” video shoot. In rock we trust, it’s Bob or bust – London, early October 2014, and AC/DC enter the studio with their video director David Mallet to record videos for “Play Ball” and the title track from their forthcoming album “Rock Or Bust”. At the last minute, the band is told that Phil Rudd will not be there and another drummer must be found at extremely short notice. 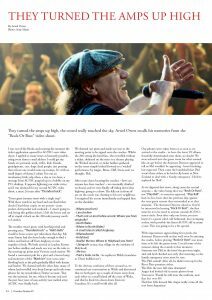 I could be in a rock’n’roll dream – We asked Phil Lageat, editor in chief of the monthly Rock Hard France and AC/DC die-hard fan since 1978, if he could write a concert review from the first club gig AC/DC made in Europe 2003. 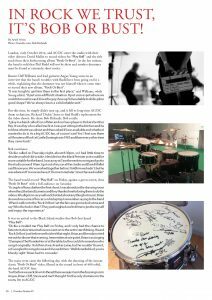 Geordie hits Hebburn – The superfan Karl Miller continues his story from being on the road following the caploving frontman in his old band Geordie. In the previous issue Karl wrote about the first gig in Newcastle. Now Karl takes us through a small sweaty pub in northern England and through some great historical places in the history of AC/DC. On the road with Dazgoulash – Follow Darren Goulden also known as “Dazgoulash” and his stories from being on the road, exclusivly for Overdose. Solodallas – The truth behind the raw sound of AC/DC – We asked the guitar guru ”Solodallas” to tell the Overdose readers about the secret behind the power of AC/DC, their guitar sound. In this article Fil takes us back to the beginning, back to 1978. A long time ago in Newcastle – Ken Brown has been friends with Brian Johnson since the early days. They met back in 1967 and ended up playing together in bands in and around Newcastle. This is his story about playing the social clubs, learning songs from the musical “Hair” and watching Brian transform into a rock and roller. Angus on the ball – David McMacken is the guy behind the album cover for AC/DC´s “Ballbreaker” (1995). 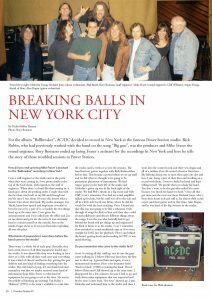 Breaking balls in New York City – For the album “Ballbreaker”, AC/DC decided to record in New York at the famous Power Station studio. Rick Rubin, who had previously worked with the band on the song “Big gun”, was the producer and Mike Fraser the sound engineer. 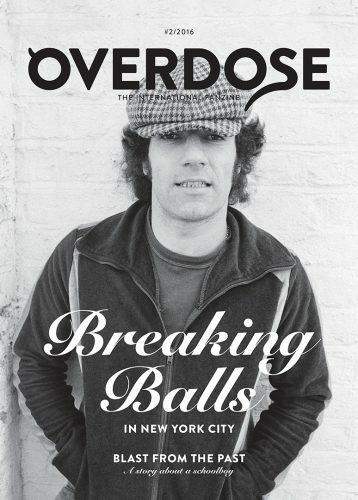 Rory Romano ended up being Fraser´s assistant for the recordings in New York and here he tells the story of those troubled sessions at Power Station. 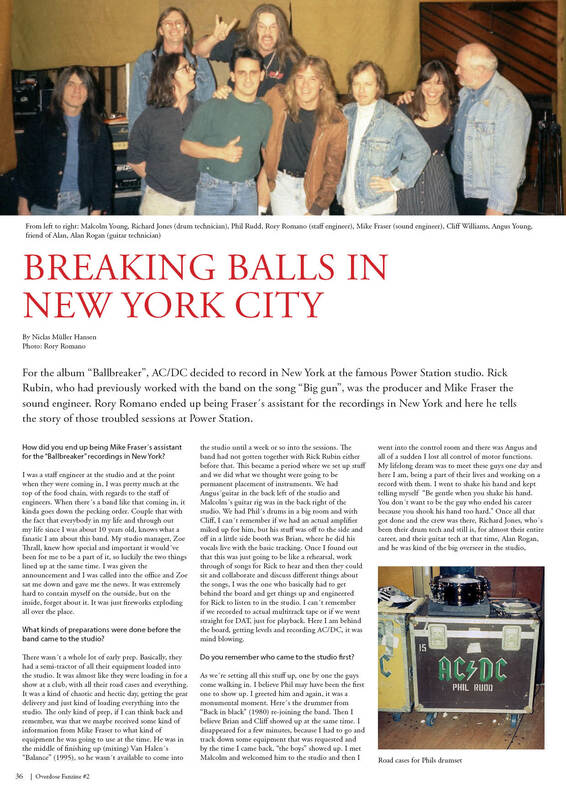 Interview with Mike Fraser – Mike Fraser, who started out working on “Ballbreaker” as the sound engineer, but also ended up getting a co-producer credit, tells the story of the recordings of the album. It started out with quite a few difficulties in New York and it wasn´t until they moved to LA, that things got back on track. 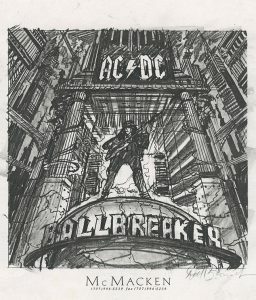 Also including a insert with David McMacken’s sketch of the artwork for Ballbreaker.